The 12th of June was a very special day, actually one of the most special days in my life because it is “technically” the last day of my exchange year in the United States. Time flies, I have been in the U.S. for about 10 months and I didn't even notice this fact! During these months in the U.S., I have experienced so much that it’s hard to recall them all! But those months sure changed my life a lot, and the experiences I had were priceless. 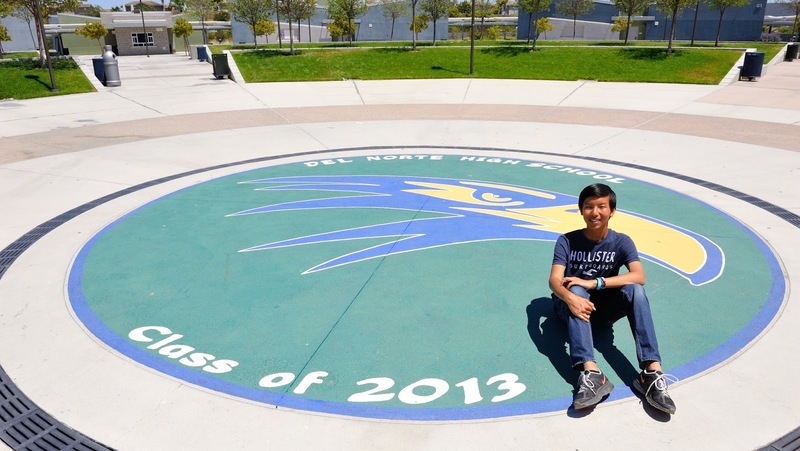 (Cover photo) I've became a Del Norte Nighthawks after spending a great half year here. 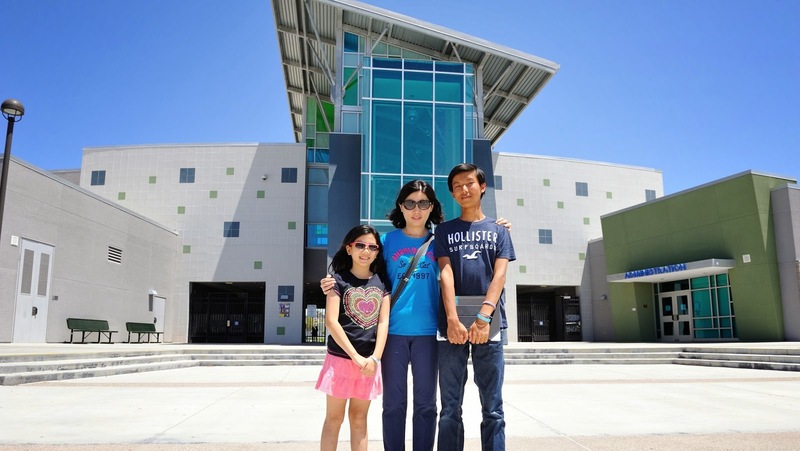 (Cover photo) My family and me in front of my school, Del Norte. 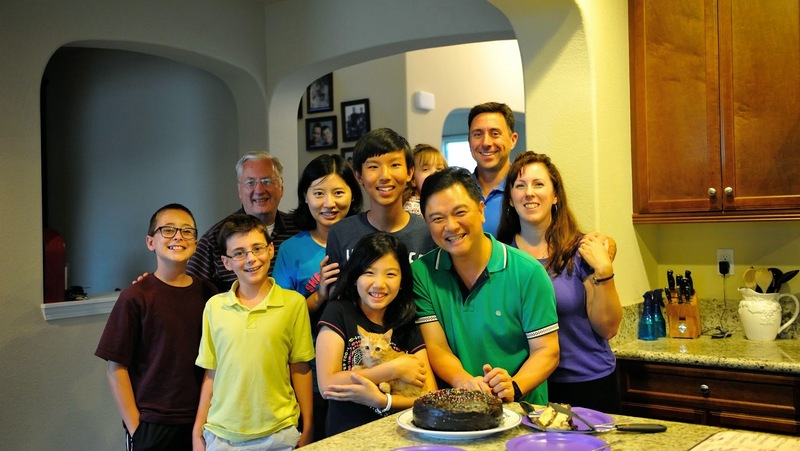 They (my parents) arrived United States in Los Angeles airport on June 11th and drove down to San Diego right after they got the car they rent. They actually experienced some problems while getting their rental car, it caused a few hours delay which made me pretty nervous on the June 11th evening, because I remembered that they used the airport Wifi to FaceTime call me at maybe around 4:00 telling me that they have finally arrived the U.S. and they planned to arrive San Diego at 6 PM or sometime around, BUT they never arrived until 10:30 PM. It might be okay if they could let me know that they were just having some problems with the car rental company, but they didn't have a way to communicate with me, there were no WiFi available outside the airport and they don't have phone either. Since the last time they called me was before they got their car and went on the freeway, I thought they had a car accident or something on the freeway! I knew people drive a lot faster on freeway in San Diego than in Taiwan and since my dad are driving a car the he have never drove before, I really thought that they had an accident. After hours of waiting, they finally FaceTimed me and told me what happened with the car rental company, right after they went into the hotel and found a wifi signal. They haven't even went into their room! They might be really worried about me worrying about them too! Haha I know it’s kinda messed up.